Just in case you hadn’t noticed I’m a Yorkshire lad. OK maybe my ancestors that give me my surname go back hundreds of years as Lancastrians. But I was born in Yorkshire, and proud of it! Today, August the first is Yorkshire Day. Here’s our anthem. What does Yorkshire mean to me? Well for a start there are more acres in Yorkshire than there are words in the bible, so it’s a big place with many valleys, or dales as we call ’em. Ribblesdale, Malhamdale and Airedale, Wharfedale and Nidderdale, Wensleydale and Swaledale, Calderdale, Arkengarthdale, Bishopdale, Clapdale, Coverdale, Kingsdale, Littondale, Langstrothdale, Raydale, Waldendale, Ryedale, Cobbydale, Barbondale, Dentdale, Deepdale and Garsdale. 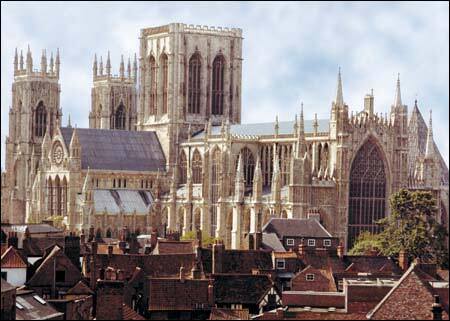 It also has wide plains: the Vales of York, Pickering and Mowbray. High Moors and National Parks: The Yorkshire Dales, North York Moors. A 45 mile riviera. We have more breweries than you can shake your glass to: Timothy Taylors, Samuel Smiths, John Smiths, Naylors, Copper Dragon, York Brewery, Black Sheep Brewery, T & R Theakstones, Barley Bottoms Brewery to name but of few of scores. That any person or corporate body which deliberately ignores or denies the aforementioned shall forfeit all claim to Yorkshire status. These declarations made this Yorkshire Day 2014. So you see anyone can be a Yorkshireman (or woman) (What even Lancastrians? – Ed), come and join us! This entry was posted in Days off by Flying Shavings. Bookmark the permalink.